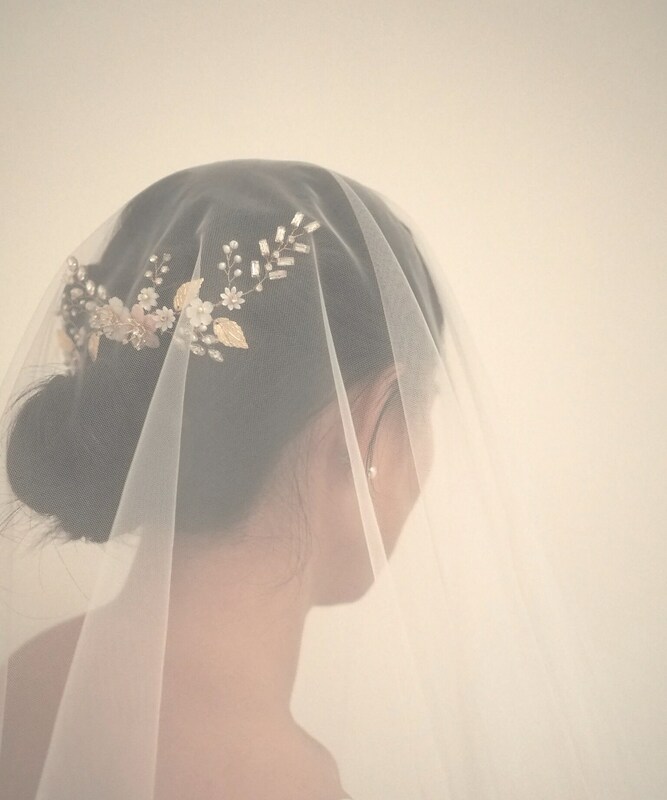 As pink is always my favorite colour, I designed this headpiece with a touch of pink! 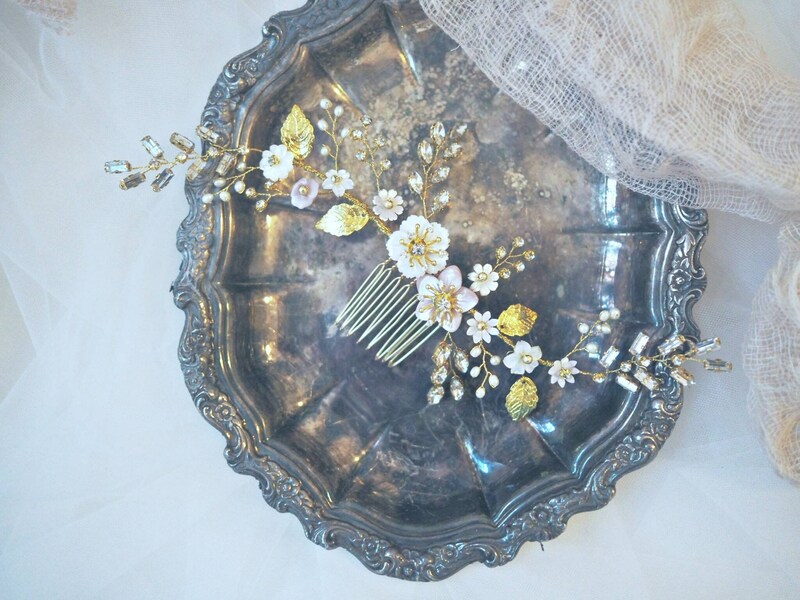 This comb is delicately handwired with white and pink mother of pearl flower charms, small but brilliant fresh water pearls and sparkly crystals. 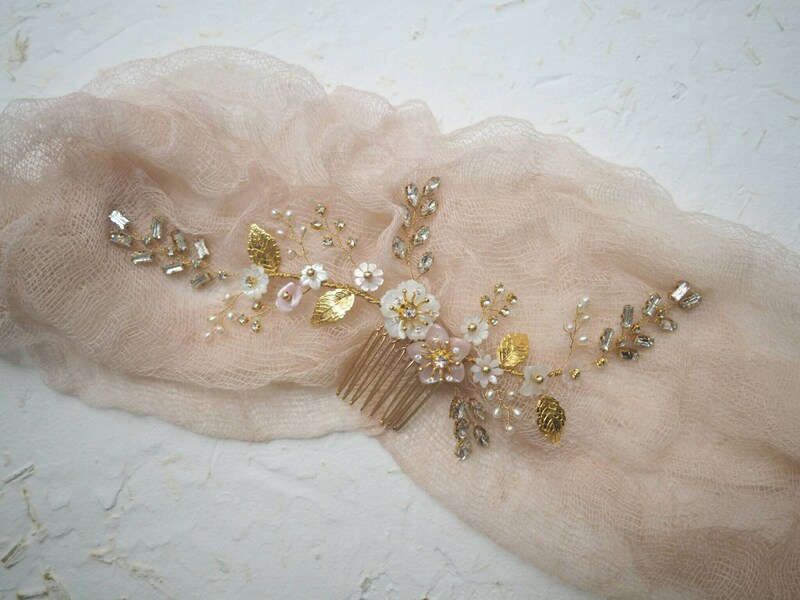 It can be worn as a side comb, or as a decorative comb on youur hair bun. 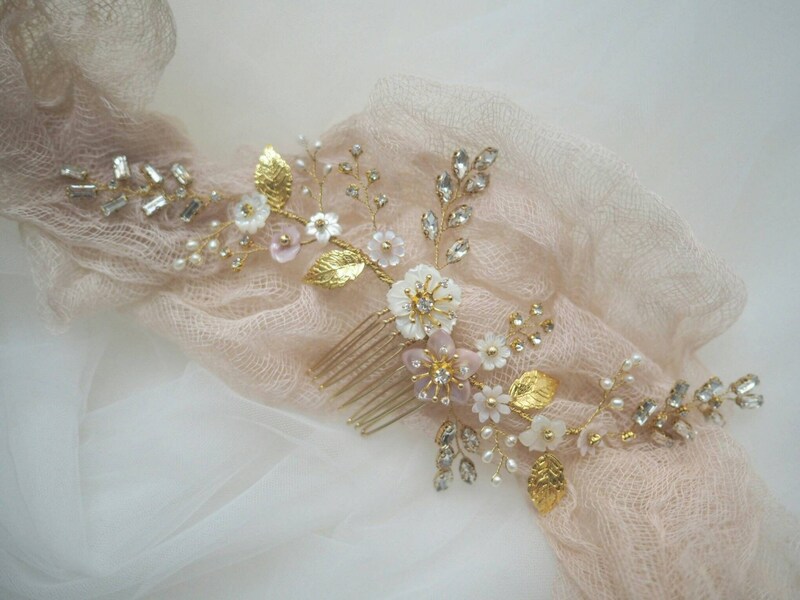 Designed and handmade by Harty Vintage Bridal and Chic.